Selenite is one of the best crystals in case of pain. 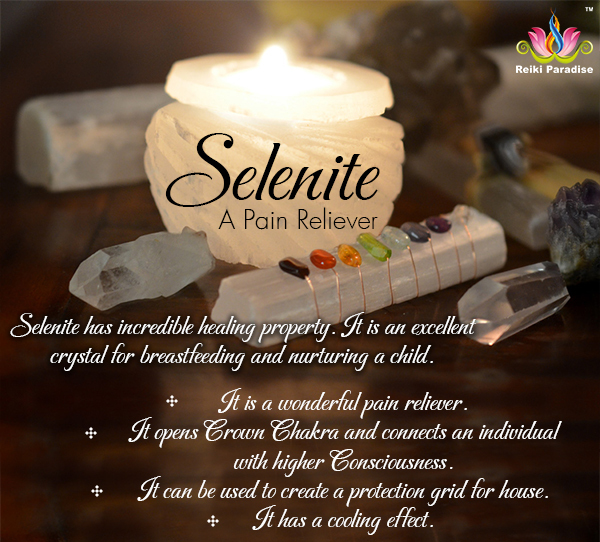 Selenite has incredible healing property. It is an excellent crystal for breastfeeding and nurturing a child. New mothers should always keep Selenite crystal rod near to their bed. Translucent Selenite has very high vibration but at the same time it has a cooling effect also. Selenite opens Crown Chakra and connects and individual with the higher dimension and it also strengthens the bond with the angelic world. It brings peace and serenity in life; use this crystal while doing meditation and it enhances telepathy also. Selenite can be used to form a protection grid around a house. As it channelizes the energies and helps in the free flow of energy thin rods of Selenite can be used to connect different crystals in a grid. It provides life force energy to other crystals. Selenite assists judgment and insight. Mentally, it clears confusion and aids in seeing the deeper picture. Selenite dissolves when it comes in the contact of water, this crystal doesn’t need any cleaning. 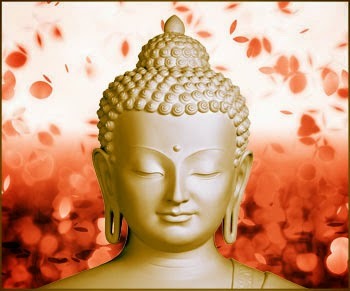 It is mainly a pain reliever and spiritual crystal which helps in understanding the true concept of spirituality. It brings about a conscious understanding of what has been occurring at the subconscious level. Selenite comes in different colors like Orange-Brown selenite, Green Selenite, Blue Selenite and Fishtail Selenite. It is easily available and mainly it comes from England, United States, Russia, Germany and France.